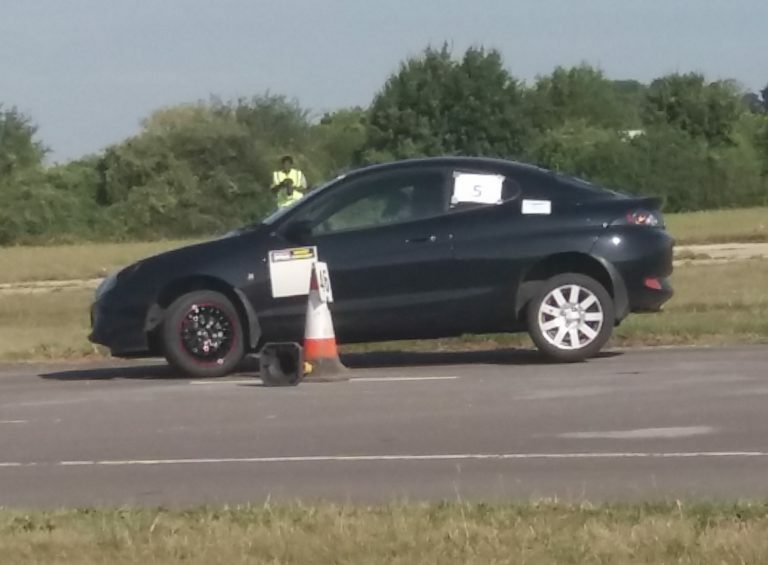 The Bath MC Kemble Summer AutoSOLO used the same cone layout as their previous event in the Spring but, as they say, the cones weren’t in exactly the same place! The result was some seriously fun tests with car handling and driver reaction having to be at its very best. I reckon I counted the “oops, I’ve lost it” to be 5 MX5s and 1 Mini. 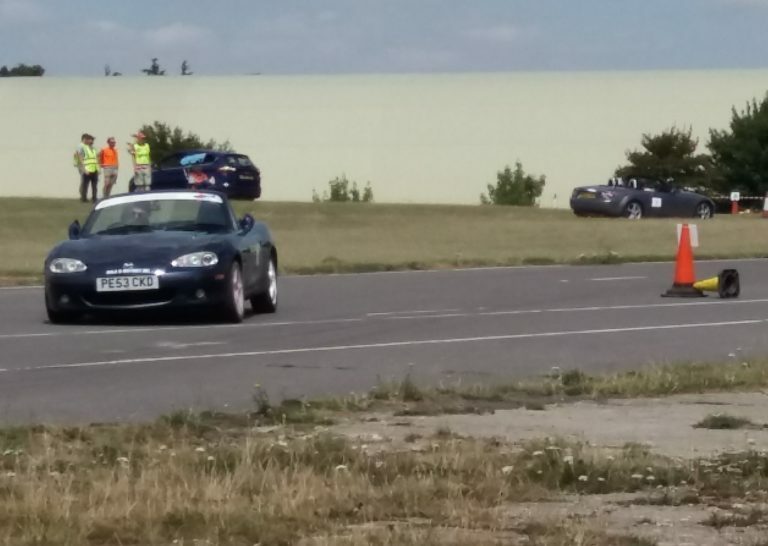 The number of MX5 spinners was high because there were no less than 22 of them in the entry of 30 for the Nat B part whilst in the Clubman section there were 12 MX5s in the entry of 22. 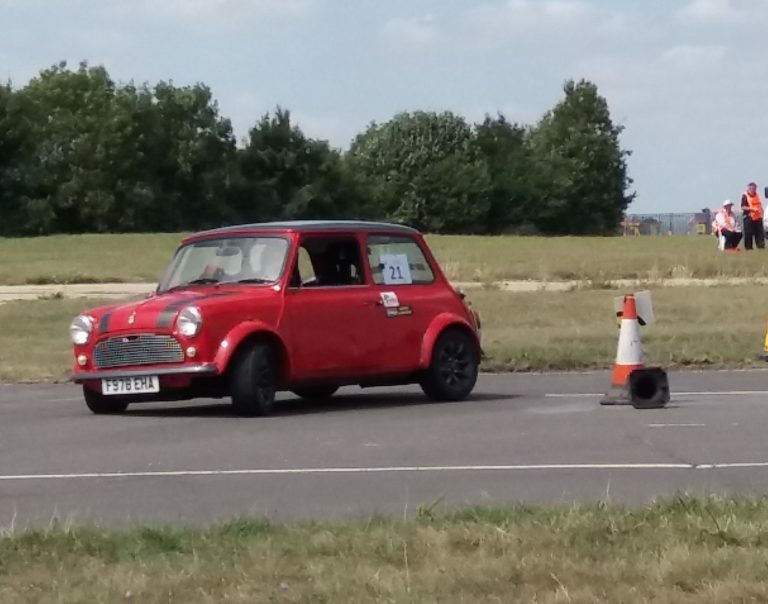 Fastest of all the drivers was ex BTRDA championship entrant Stuart Harrison in his GBS Zero sports car who edged ahead test by test from Liam Rollings in his usual Mini to finish 12.5 ahead at the end of the 4 test layouts. 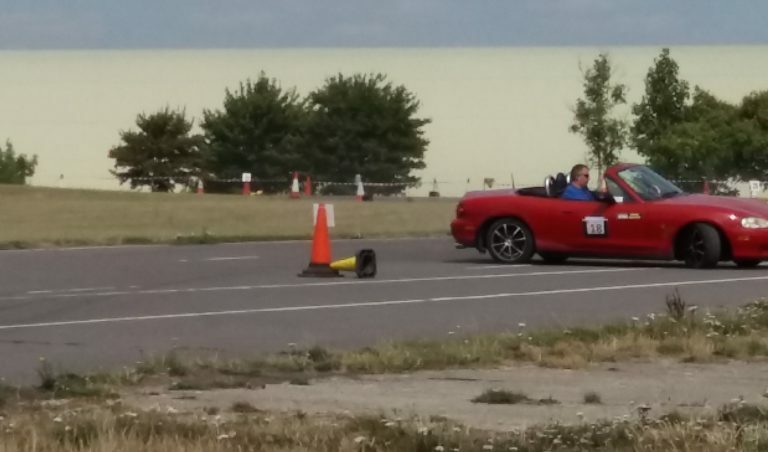 The gap to the next driver was far smaller with Liam being a mere 2.0 secs ahead of Jim Bryant in his MX5. Jim had some of the cleanest runs and his top sports car Class D win was well deserved. Neil Jones and Howard Morris had driven down from North Wales in the morning having found it difficult to find any reasonable costing accommodation and Neil was the one to take the second in class trophy back to North Wales. 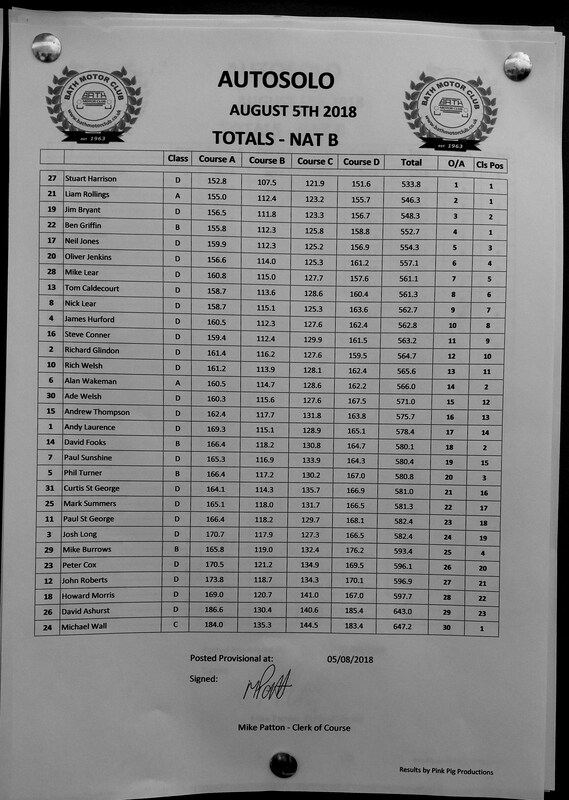 Neil heads the competitors in Class D for Group A so this bodes well for a good shoot out at the final event in November at Curborough where it is likely that the Group B Class D drivers Ollie Jenkins, Jim Bryant and Steve Conner will have taken points off each other. There are still 4 regional rounds left for both Group A and B competitors before the big Final at Curborough. Who is going to challenge Liam Rollings for the overall title? Results and start list are available to download.